Made from our super soft 85% cashmere blend yarns. Adorable little booties for baby with a sweet, little panda bear face. 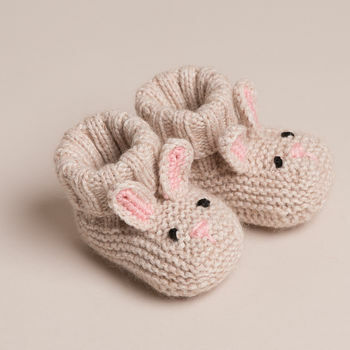 Super soft and very breathable for babies' little feet. With our lovely gift boxes, they make great gifts for baby showers, new borns, Christening or Christmas..